Our sweet Lucy Love is up for this week's Pick. If you've been in the boutique before you have probably seen her working alongside her Oma and Aunt (Lousje & Bean). We feel so fortunate to have family members working with us who are as passionate about our clothes as we do and who also make awesome models! Lucy is rocking our brand new Lousje & Bean Cowl Patch Tunic, which is so fresh off the press that we haven't listed it yet online! You can find this solid and print blocked piece in the shop now though, and be among the first to wear it! Paired with our best selling Polka Dot Leggings, which are now back in stock, this is an outfit that spans generations and is universally flattering. Lucy has accessorized her Pick with a Geometric sterling silver necklace by Canadian Made White Feather Designs. Topped off with Fly London shoes from our neighbours at The Boot Shop, Lucy Love is ready for anything the day throws at her. 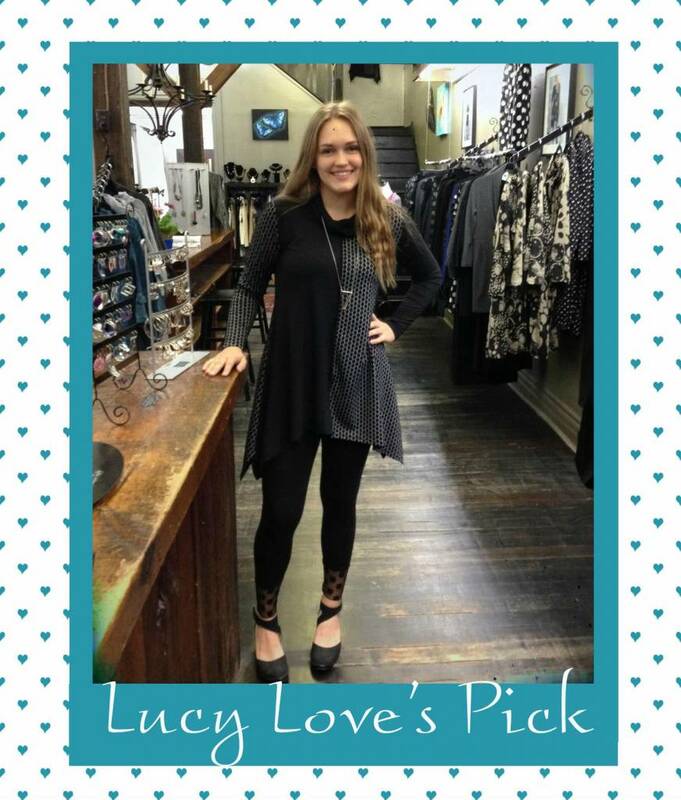 We love our sweet Lucy Love and her Pick for the week but we'd like to hear your opinion. Tell us what you think of the new addition to our Fall Collection and feel free to adore the model wearing it, just like we do!